Thank you for providing me with an apnea device that’s easily transported, cleaned…and it works. Obstructive sleep apnea occurs when large throat tissues or the tongue narrow and collapse the airway. During this blockage, a patient may stop breathing for ten seconds or even longer! In response, the brain jolts the patient awake to reopen the airway and gasp in a breath. This can happen several times an hour all night long. Patients fall asleep again immediately after an episode and may not recall the frequent wake-ups the following morning. Sleep apnea is a serious concern, but we at Sleep Apnea and TMJ Solutions have the expertise and technology to get you breathing clear and sleeping soundly again. First, you need an accurate diagnosis. We welcome patients who have already had a sleep study conducted elsewhere. If you still require a formal diagnosis, our in-office sleep test can do that for you. Next, we will customize a treatment plan for you. Advanced technological appliances and lifestyle changes are among the effective options we offer for treating sleep apnea. The results of your sleep study and a discussion of your tolerances and preferences will help us determine the best treatment plan for you. Finally, we will get started with your treatment and monitor your progress. After careful selection and customization of your individual treatment plan, we will work closely with you to ensure best results and maximum comfort. The CPAP (Continuous Positive Airway Pressure) is a ventilator that applies mild pressure on your airway to keep it open while you sleep. 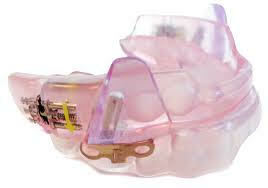 It remains the most effective non-invasive treatment for sleep apnea. Lifestyle changes such as medication or habit adjustments can help keep your airway clear through the night. Sleeping on your side or losing a little weight can sometimes make all the difference. 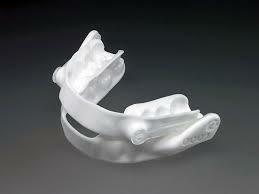 Sleep apnea appliances, or mandibular advancement devices, are worn like mouthguards at night. They can realign the jaw and tongue to enlarge and keep open the space in your upper airway. If you’re ready to breathe easy again, schedule an appointment with Sleep Apnea & TMJ Solutions today! We serve patients throughout Nashville, Franklin, and Brentwood, TN.